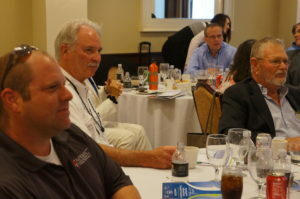 The ABBRA Symposium is a conference focusing on the issues that affect boat builders, boat repair, boat service, service companies, and associated businesses. It is an opportunity to build relationships with other professionals that share common interests and challenges. We are launching our Annual Meeting & Symposium with a Cocktail Reception and Annual Meeting on Tuesday January 24th, 2017 from 6:00 pm – 9:00 pm, during which we will present our Annual Awards and ABBRA’s industry recognized Marine Service Manager’s Certification credential. Financial Management for the Non-Financial Manager.